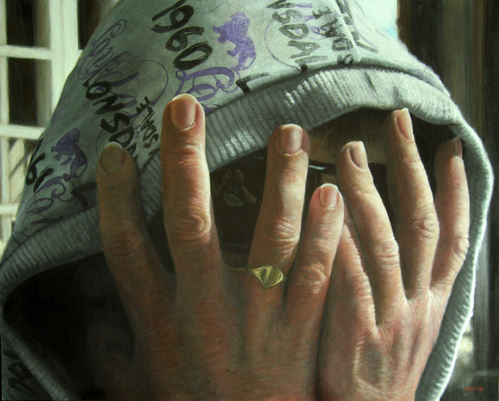 Ich Habe Es Getan - acrylic on canvas, 36x24"
Bryan Hible is an award-winning artist based in Nottinghamshire, UK. 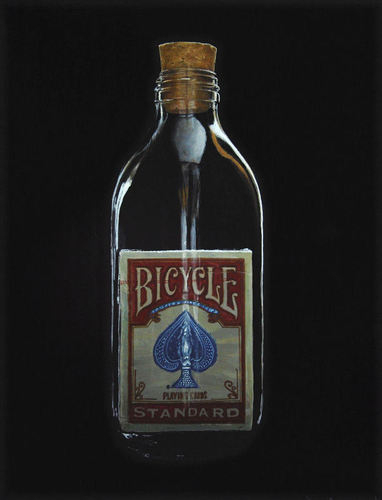 Painting in a realist style using acrylic paint, he has work in public and private collections around the world. 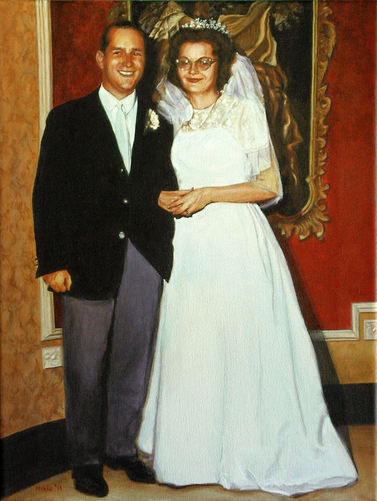 He is self taught and considers the past thirty years of painting his art education. Occasionally paintings may be available to purchase direct from the studio. These will generally be older works and experimental pieces rather than the "Life's A Game" paintings which are available exclusively in the above galleries. Any such works will be detailed below. For further details or payment options please "contact me"
"Portrait Of An Artist With Issues"
Some recent exhibition work. Please see the Galleries for more, plus examples of commission work. Bryan is available for commissions, as time allows. All he requires is a sharp, clear photograph of your chosen subject and he will create a unique work of art for you. A painting makes a fabulous gift and will be a talking point in your home. See Commission Pricing for further details of sizes, media and cost. Thank you for visiting this website, please sign the Guestbook.